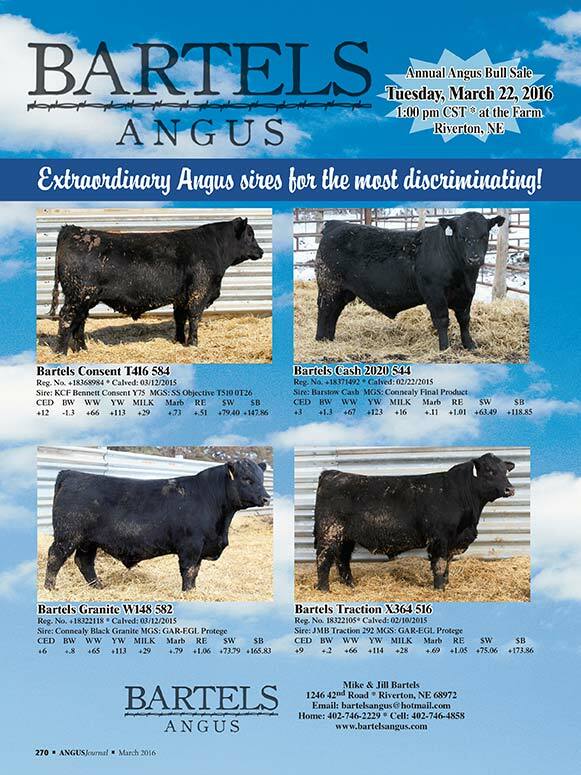 Welcome to Bartels Angus! We make our home in Franklin County, Nebraska where we raise registered and commercial Angus cattle and are 3rd generation farmers. 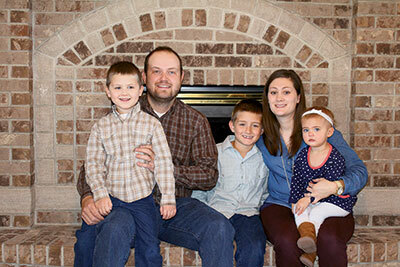 Bartels Angus all began in 2002 as an FFA project with the purchase of an open heifer from Meyer Angus. In 2007 we purchased our first large shipment of bred heifers from McKellar Angus in Mt. Pleasant Texas. This original shipment, along with several more groups of bred heifers and proven donors make up the base to which many of today's cows stem from. Located in the Republican River Valley in south central Nebraska, we are allowed the best of both worlds for grazing resources. The breaks of the river valley produce some of the best native warm-season range available. We are also blessed with an abundance of local cornstalks for winter grazing. Our herd of both commercial and registered cows is managed in a similar manner to most cows in the area. There is no special treatment or extra feed given. Our cows must earn their keep by breeding early, weaning a big calf, and breeding back year in and year out. When we made the decision to enter into the registered Angus business Mike spent a great deal of time researching what he wanted and needed in a progressive and functional cow herd. We have searched far and wide to build the base that we now have in place, with many cows that anchor our herd having sons or daughters that have been proven performers. Mike continues the search for cows and bulls that will improve their herd and the purchaser's bottom line. Some important features we look for are udder quality, feet and legs, disposition, fertility, and feed efficiency. All our bulls are fed a growing ration with the purchaser's future in mind and we stand behind our bulls 100%. We genuinely thank all the satisfied customers who have made our success possible. 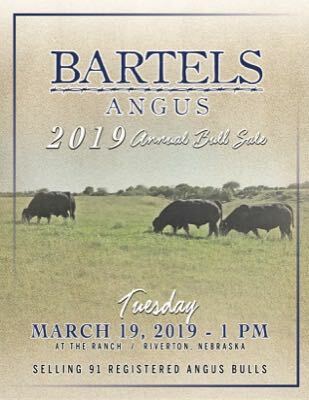 We appreciate your business and confidence in Bartels Angus. On March 21st 2017 we will be hosting our third annual auction. We thank you for your interest and we love to talk cattle, so feel free to call anytime.